Posted on March 14, 2016 March 13, 2016 by SherylPosted in FoodTagged bread, recipe. These look so good, Sheryl! I remember helping my grandmother make these, too! It’s interesting that you also have memories of making them when you were a child. We often had fresh rolls for dinner, because my mother had a refrigerator roll recipe you mixed up, then stuck in the fridge. You could make as many rolls as you wanted each evening. As I recall, the dough would last through a whole week. I still have that recipe, written in pencil, and I’ve sworn to copy it before it fades away entirely. I’d better get at it. Once I’ve deciphered and tested it, if it’s really as good as I remember, I’ll pass it on. She said she got it from her mother, and used it when she began baking, so that would put it back to at least 1915 — it qualifies as a hundred-year-old recipe! Your recipe sounds wonderful. I like how the dough would keep in the refrigerator, so small batches of rolls could be made over the course of several days. I am keeping my fingers crossed that it is as good as you remember so you can pass it on. I do love fresh baked bread! They sound wonderful! Nothing like fresh, homemade bread! There is something really special about homemade bread . . . the smell, the taste, the texture, the care and love that went into making it. . . .
I’ve just started making my own bread again. These are going on the list. I think that you will like it. I make homemade bread once every month or two. I really want to make it more frequently. It is so much better than store bread. I think I can smell them baking! They look so good. 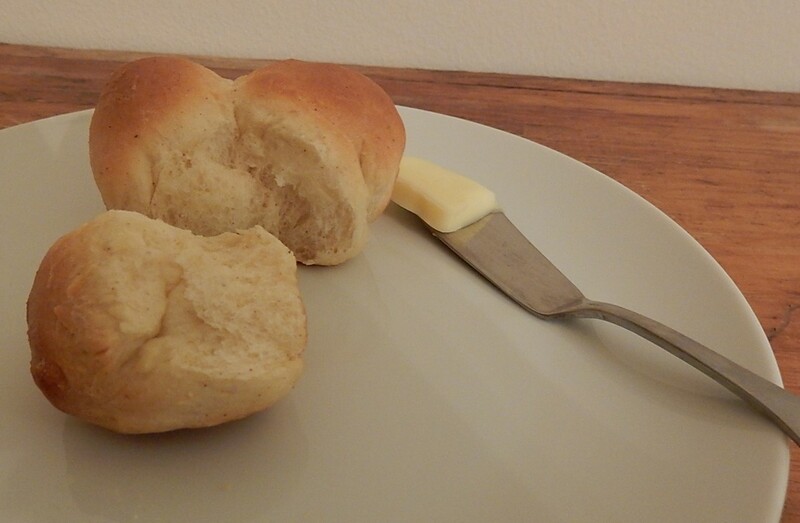 I was just thinking about making cloverleaf rolls for Easter. I wonder what would happen if I let them rise overnight. It probably would work . . Maybe put it in the refrigerator overnight or use a little less yeast. If you try doing it overnight, you’ll have to let us know how they turned out and how you adjusted the recipe. I remember helping my mother make clover leaf rolls. They were yummy! I can imagine the lovely smell of these baking in the oven. Yummy! Lovely. Thank you. When I saw the image of the marmalade container, I realized I have a “stand” just like it minus the glass and I had no clue what it was meant for. I figured I would use it as a candle holder as I didn’t know of it’s original use. Now I know. The marmalade container in the picture looks lovely. I am glad this post helped you figure out what your base was from. Makes me wish I were still into cooking/baking. For now I’m happy to imagine the yummy smell. I LOVE homemade rolls with a pressure cooked Beef Chuck Roast, pressure cooked carrots (in the beef juices) and mashed potatoes and gravy! Mmm . . . This sounds awesome. I’ve never made them, but when I was a child, Mom would have “Brown and Serve” rolls once in awhile. These look so GOOD! I also remember my mother making brown and serve rolls from time to time. These look great! 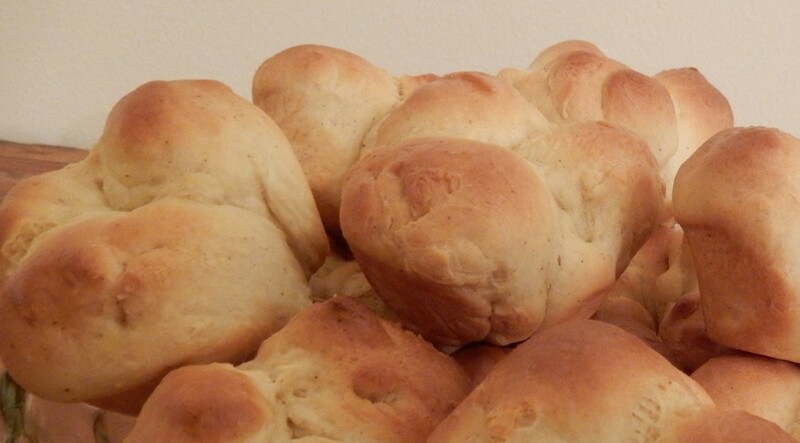 I have a refrigerator yeast roll recipe that I use but may have to try this one for Easter. 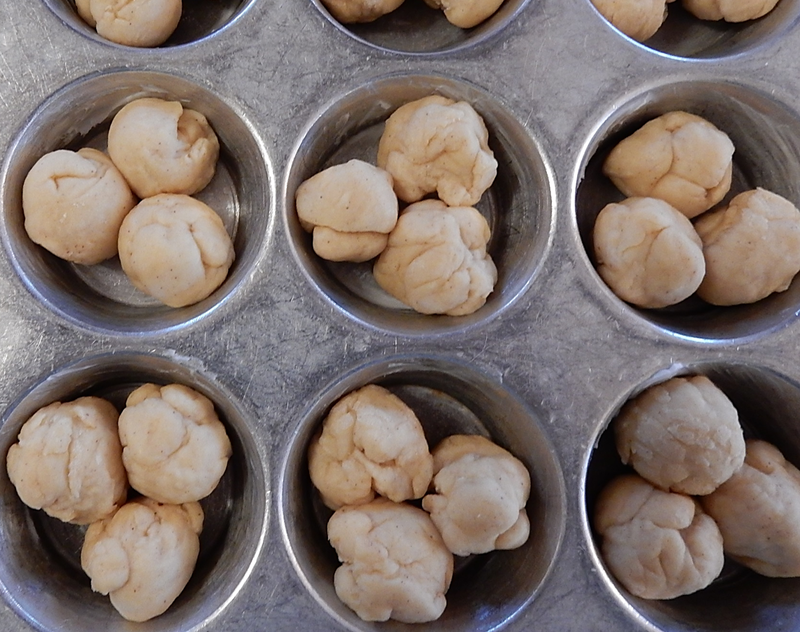 My mother-in-law used to make these … Fun to fit three little ‘loaves’ together in the muffin tin. They sound so good I can smell them. Too bad I can’t let gluten enter my house. Have you ever made any gluten-free breads? I’ve had some awesome gluten-free breads and rolls at restaurants, but have never made any. It’s on my list of things I want to try making. Not too often. It’s all I can do to keep up with all the special shopping, cooking, and restaurant searching (esp for travel). They’re one of my favorites, too. It’s nice to hear that you liked this post. I like how you put it. 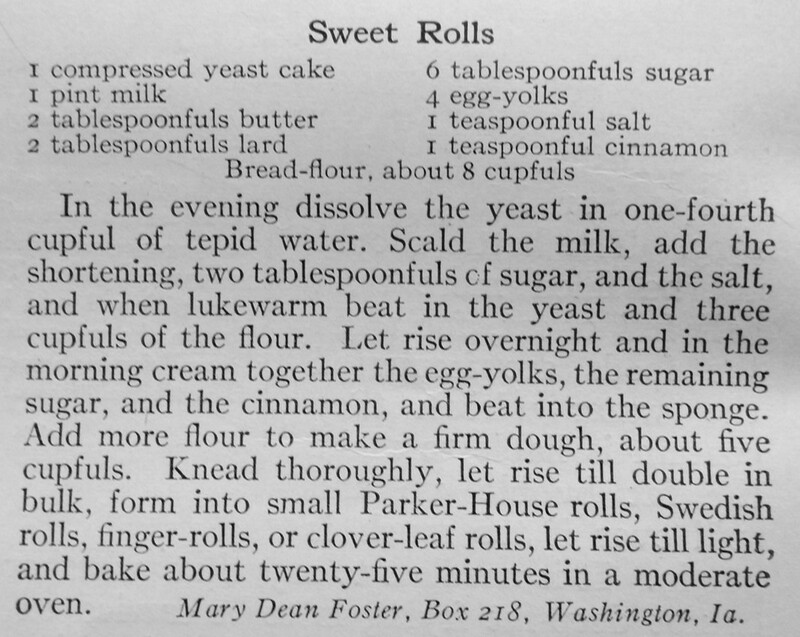 Some old-time recipes are very good. My grandma used to have these at all our family holiday dinners. Brings back the memories for sure 🙂 Love this! It’s wonderful to hear that this post brought back some good memories. Mmmmm. These are in my mother’s recipe box as “Clover Leaf Light Rolls.” I made them for Thanksgiving one year in the 80s. They are sooooo goooood. It makes me want to make them again. Who needs anything else when you have these? Thanks for sharing this. I’m glad you enjoyed this post. I like the name for these that is on your mother’s recipe. It nicely describes these rolls. These sweet bread rolls look amazing & must be ver so tasteful too! MMMMMMM! I must make them soon! I happen to have an organic bread flour at home! Yummm! These would be perfect with the organic bread flour. They are yummy. My mother-in-law used to make these and they would melt in your mouth – brought back a lot of great memories. Thank you. It’s nice to hear that it brought back some good memories. I have a lot of fun trying old recipes, and it’s wonderful to hear when someone especially enjoys a post. mmm. . . that sounds good. I love maple-flavored icing, and it would perfectly enhance the mild cinnamon flavor in these rolls. There’s lots of ways to make minor tweaks to this recipe that would result in noticeably different breads which adds to the fun. The 1916 recipe I found calls for cinnamon, but I thought about trying it without the cinnamon. 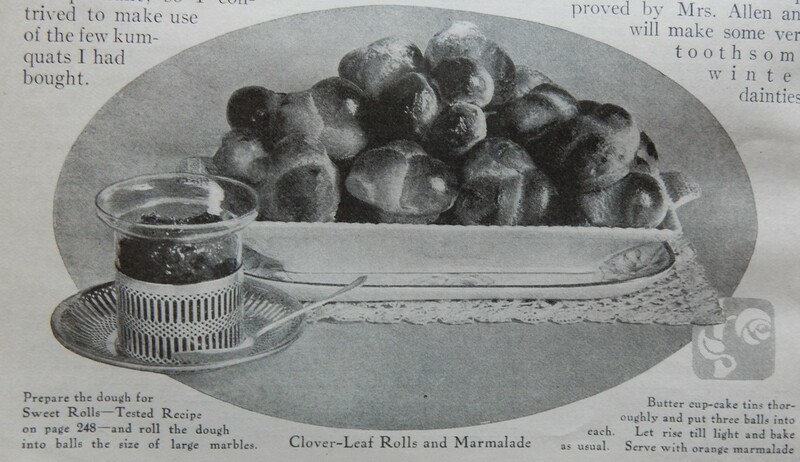 My memory is that the Clover-leaf Rolls that my mother made when I was a child didn’t have cinnamon in them. Cheryl, what a delicious post. It’s been ages since I’ve made these. Seeing the pictures brought me right back to my childhood home, as my mother used to make these too. It’s wonderful to hear that this post brought back some good memories. Have an awesome Spring!